March is Welsh Cakes for Welsh Women’s Aid month! 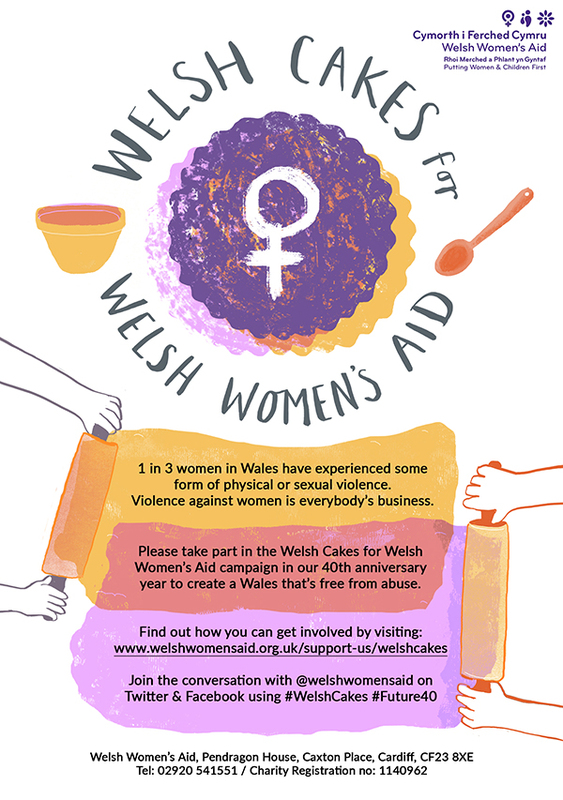 Join us as we look to the future and help create a Wales that’s free from violence and abuse by supporting our Welsh Cakes for Welsh Women’s Aid campaign. You can host your cake sale on International Women’s Day, St David’s Day, Mother’s Day or any day you choose! Simply sign up to host a Welsh Cakes cake sale – then bake, buy, or ask for donations of your favourite cakes and raise funds for Welsh Women’s Aid. Violence against women is everybody’s business, and your cake sale is a great way to talk with others about other ways you can contribute to ending violence against women. Email victoriasamuel@welshwomensaid.org.uk for further support and information. Download additional campaign materials below – printed materials can also be ordered on sign up. ‘Friends and family’ focused leaflets sharing tips on how to best support individuals affected by domestic abuse are also available in printed format.